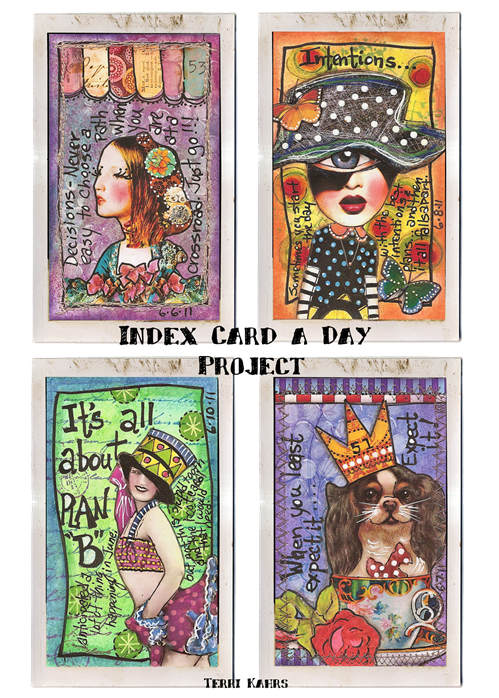 As promised, here are a few more journal pages that were created on simple index cards for the ICAD summer project hosted by Tammy at Daisy Yellow. Once again, I'm finding that doing just a small piece of art each day is satisfying my creative soul. On a side note . 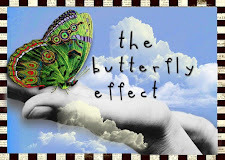 . . an amazing thing has been happening as this journal is progressing. I've noticed that my style seems to be changing a bit and, I've been more willing to experiment with new journaling techniques. I had no idea when I started this project that creative freedom would present itself in the form of a 3"x5" card. They're small and inexpensive, and I've actually given myself permission to draw, doodle and play. It's a good thing! 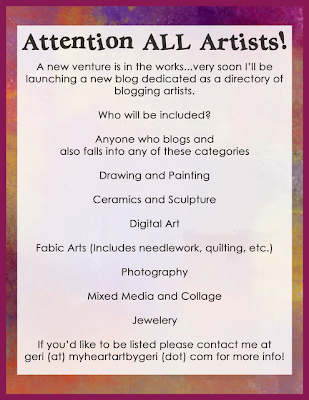 One of my blogging friends, Geri Centonze @ My Heart Art, is starting a blog dedicated to blogging artists. It will launch in a few weeks. If you'd like to be listed, you can visit Geri by clicking here, and please tell her that I sent you her way. May your day be filled with the joy of creative freedom! Credits: Thanks to Rian @Freubel , to Ceremony & Land of Nod Studio @Etsy, to TumbleFishStudio & Crowabout Studio B @DeviantScrap, to Norma Frances @ Flickr and to Dover Publications for some of the images. I love your index cards! Do you gesso them first of did you get the unlined kind? I love these! Especially that little dog, he's so cute in that tea cup!! I can see the changes in your artwork Terri... it is somehow more 'loose' - isn't it a wonderful feeling when things like that happen?! Enjoy, enjoy. Isn't is funny how the more art you create..the different roads it takes you down? Love your creations! This index cards are absolutly beautiful. These colours, the mesages, the whimsy and fun in it are amazing. Terri, you are so right!! When you work on pieces this small--you do have more freedom to experiment, and the things that you discover are wonderful. Keep going with these-they're so awesome!! So glad you shared all your index cards--they are really wonderful!! These are all wonderful. I did a yer of these and found a really cool photo album to put them in. In the end the sum became a pretty large project. Yours are wonderful. 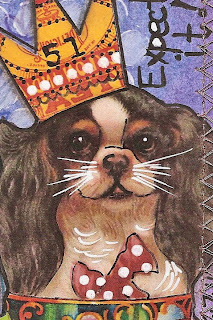 I love the King Charles Spaniel. He is so regal, the other that resonated with me was the Intentions one. All are fab, so glad you are having a good time with this. it definitely shines through. terri...everything you do is just awesome. as for evolving...don't we all? my art is COMPLETELY different from when i started. that's why i love this so much! oh how wonderful Terri!!! these look amazing!!!! your work always pops!!!! These are incredible Terri!!! WOW. Your work is changing and is looking "free-er"! I think it's great! These are fantastic! Your creativity is always delightful, but I must say these cards are super duper Mz Terri...so playful ... dazzling and funfunfun! Thank you for sharing so much eye candy! Just Wow, really! I love the colours, the images, the fact that they are such individual treasures, yet so disposable. I have been feeling too jaded to do much creatively at the moment, but, you have inspired me to put down the computer and go to my desk! They are all glorious Terri, the detail on each and everyone of them is amazing! SWEET LOVE..your index cards are adrorable. I don't know how you do it..they are always the coolest art pieces on the blog block!!! You pay attention to every detail. your index cards are truly amazing! great work! i cant' wait to see them all bound up in their new holder! WOW I'm speechless! Your cards are absolutly inspiring for me,all are fantastic, colorful and full of creativity, I'll try it also. These are just great. I checked out your article in Somerset yesterday. Wonderful to see you in "print"! Congrats my friend. Enjoy "playing" this weekend. Terri, these index cards are wonderful. 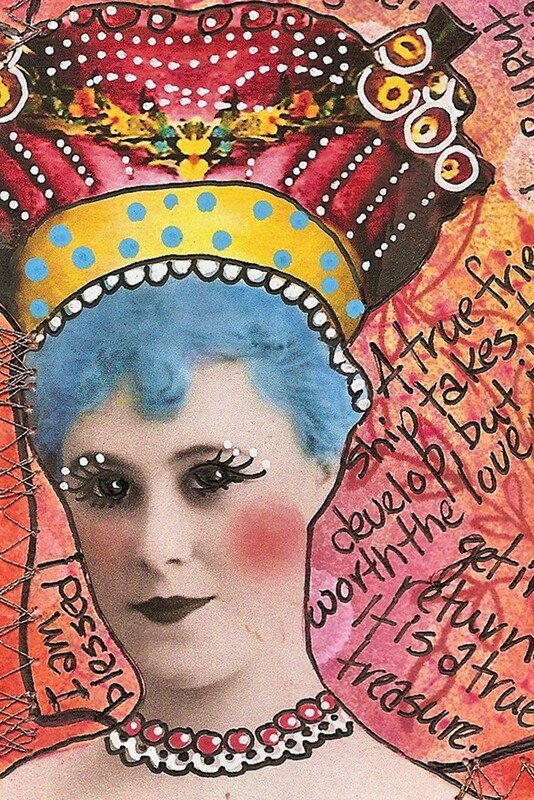 I like the idea of doing a little art everyday for your creative spirit. This is exactly what I need to be doing. Have a great day. Thanks for posting all your work, it helps 'wanna bes' like me get inspiration! Sometimes all it takes is a bit of daily dedication to free yourself. Your index cards are pure energy and color. I was thrilled with the lovely comment you left on my post yesterday, but my color pages pale in comparison to your index cards. Truly gorgeous. 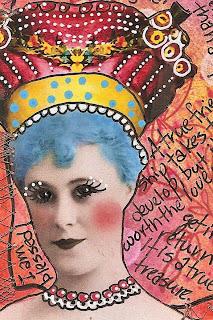 Wooohooo, just seen your fantabulous and scrumdidlyumptious creations in Somerset Art Journaling .... and so many pages too! Congratulations, my friend. 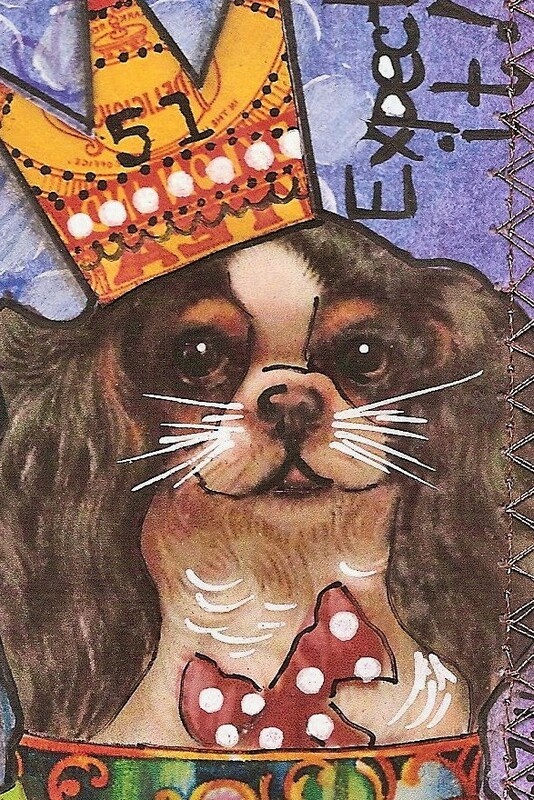 Oh, and of course, I am loving your decorated index cards so much. Wow, Terri! Your cards are spectacular. The dog in the tea cup caught my eye...he is my favorite!! Thanks for the info on the blogging site! Terri, these are all great! Isn't 3 x 5 wonderful?!!!!! Love the Spaniel. 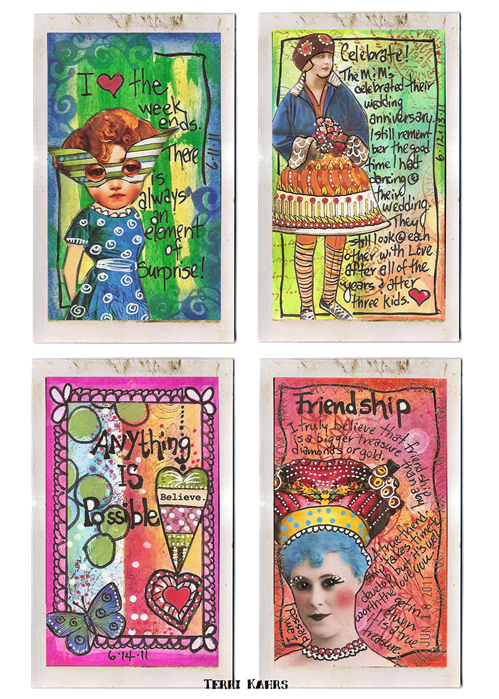 Hi Terri...these are all great...it's amazing what you get on your cards...mini works of art!!! This is amazing work?!! The colours are so vibrant, love them!! Terri, I'm amazed with the gorgeous index card art you've created. I think there is something about having a big stack of simple 3x5" cards that makes it easy to experiment... there's always another card tomorrow! Cheers to you for sticking with the challenge and for making it work for you. Wow Terri!!!! I love all of these. It looks like a fun project. I might give this a try, but time is not on my side these days. I especially love the pup! Congrats on being published friend. I own a Terri Kahrs original!!!! I really like the depth you're getting with these! Beautiful! The cards look so good, where can I obtain some of them. I like the one with the little dog.